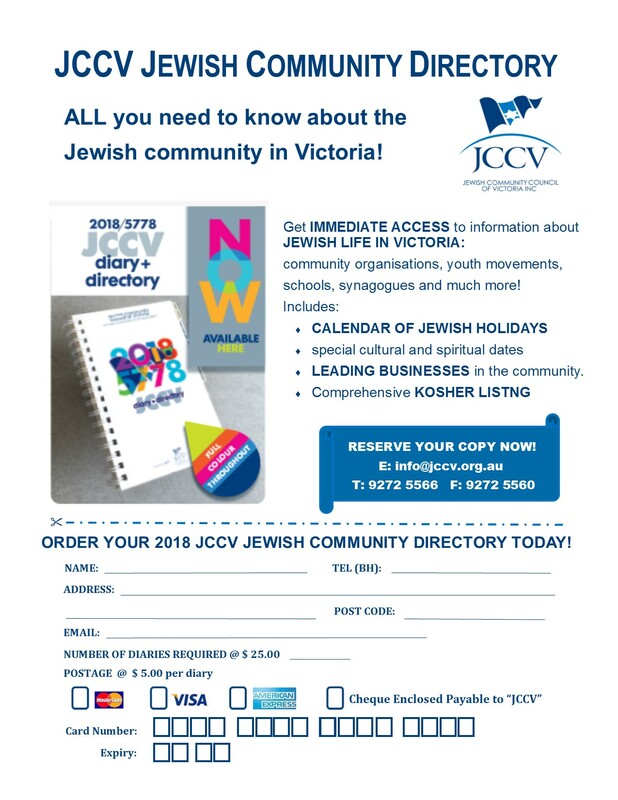 Immediate access to information about Jewish life in Victoria: community organisations, youth movements, education and schools, synagogues and much more! Through all aspects of life: Religious, cultural and education; sport, welfare, support networks and many other areas. Includes a detailed calendar of Jewish holidays, special cultural and spiritual dates and a list of leading businesses in the community. A vital link to what the Victorian Jewish community has to offer. I encourage you to use this directory as a first point of reference for daily information and working tool and to support our many sponsors and advertisers whose backing we acknowledge with gratitude. 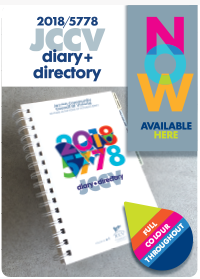 Our website provides an ongoing update to the diary and is a wonderful place to learn more about the JCCV, the work we do and our community.